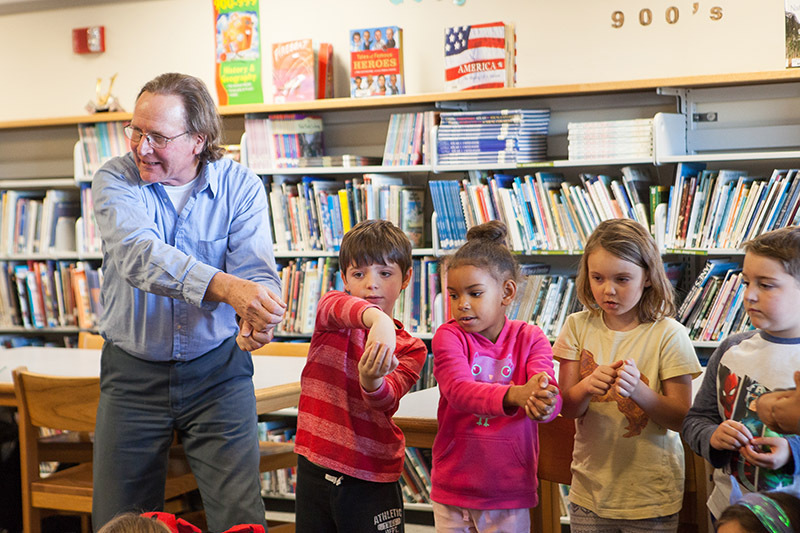 Oak Bluffs first graders experience whaling culture through song. 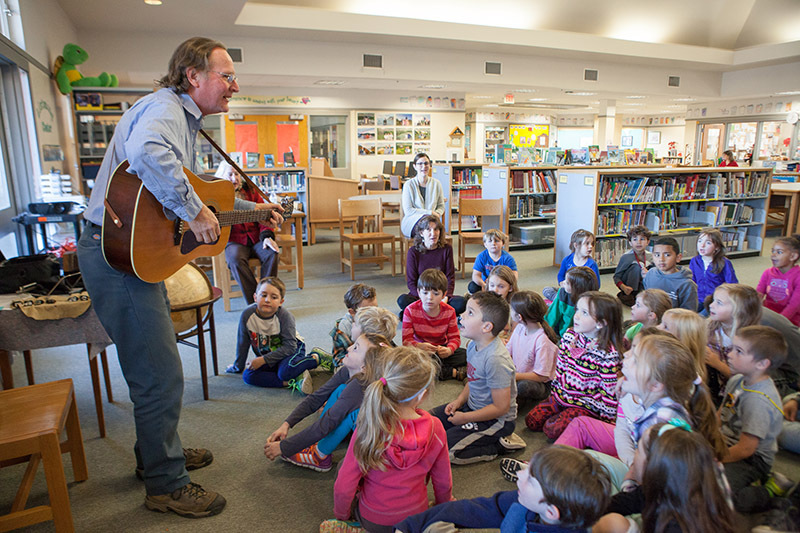 Mark Lovewell’s deep baritone echoed through the stacks of the Oak Bluffs School library on Monday afternoon as he transported first graders to a 19th century whaling ship by singing sea shanties. 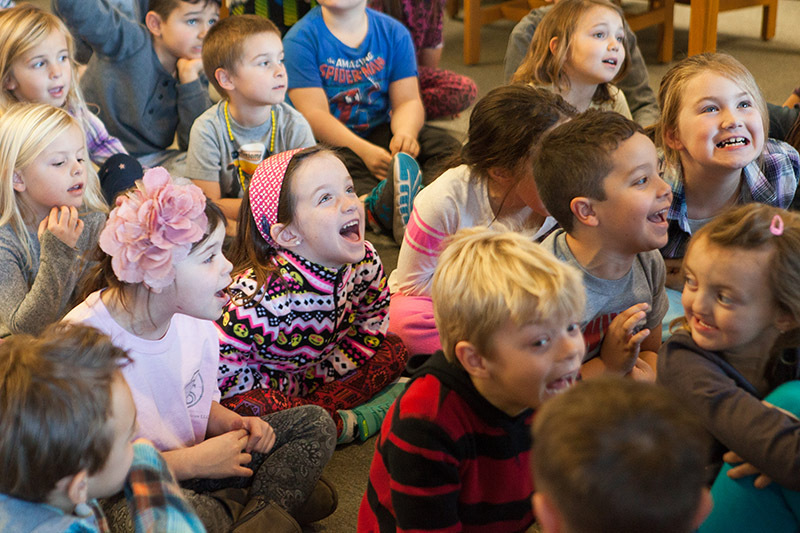 School librarian Lynn Van Auken invited Mr. Lovewell to sing sea shanties for the culmination of the first grade class’ curriculum about lighthouses, whaling on Martha’s Vineyard, and a study of the life of Laura Jernegan. 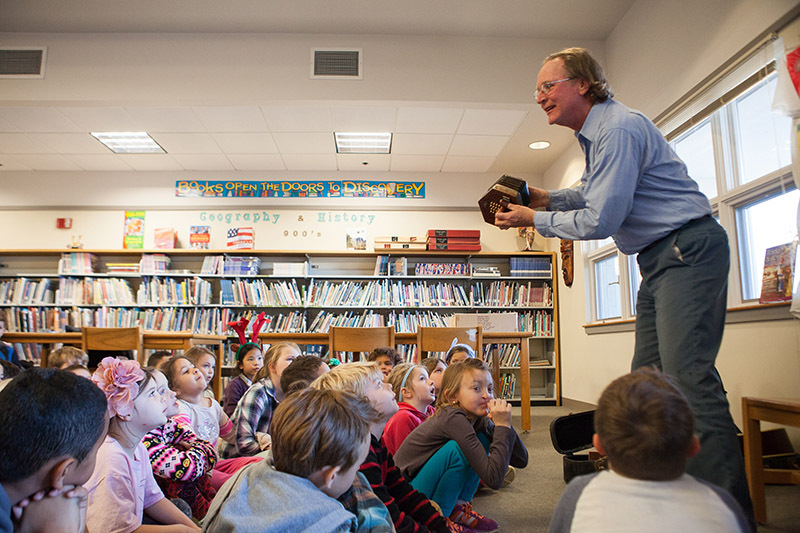 The curious first graders, who sat patiently as Mr. Lovewell set up his instruments, which included a harmonica, an acoustic guitar, and a concertina, were eager to hear the ballads. 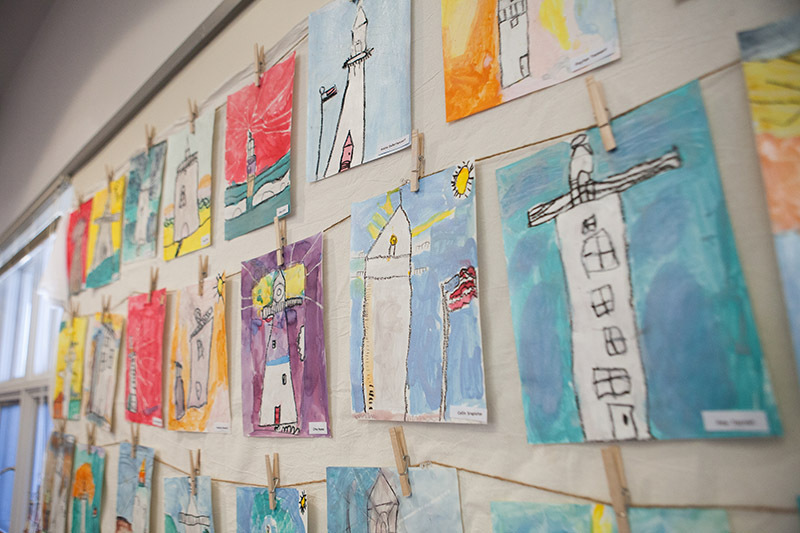 They spent the past year learning about whaling on Martha’s Vineyard, including the story of Laura Jernegan, as told in “Thirty Dirty Sailors and the Little Girl Who Went A-Whaling: A True Martha’s Vineyard Tale,” written by Dillon Bustin and illustrated by Susan Convery Foltz. Ms. Jernegan was the a daughter of a whaling captain from Edgartown, and kept a journal of her experiences living on the ship Roman from 1868 to 1871. Her journal and other artifacts from her life are currently at the Martha’s Vineyard Museum. 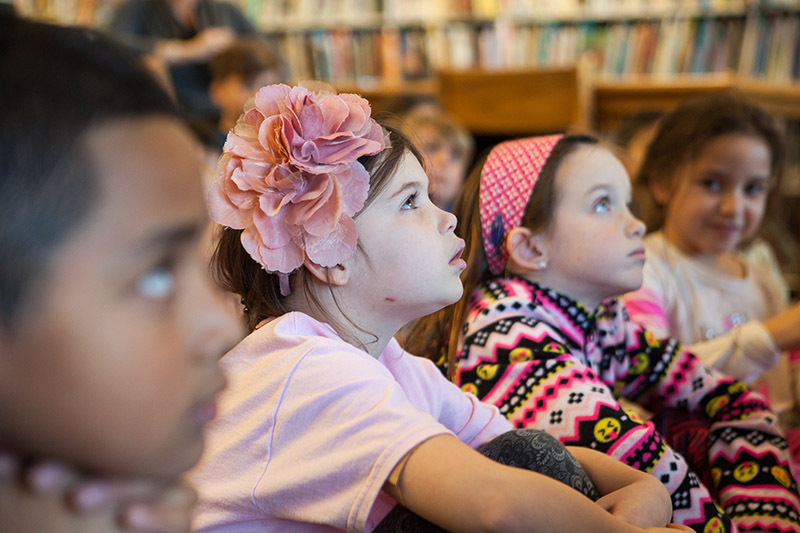 It’s no small task to make a group of 5- and 6-year-olds understand what life was like on a whaling ship in the 1800s, but Mr. Lovewell didn’t balk from his task. He dove right in, explaining why these seafaring folk would spend their days making up songs. He explained that the songs would fill long, starry nights at sea, and helped the sailors keep rhythm when they had to pull in rope or haul up a whale. 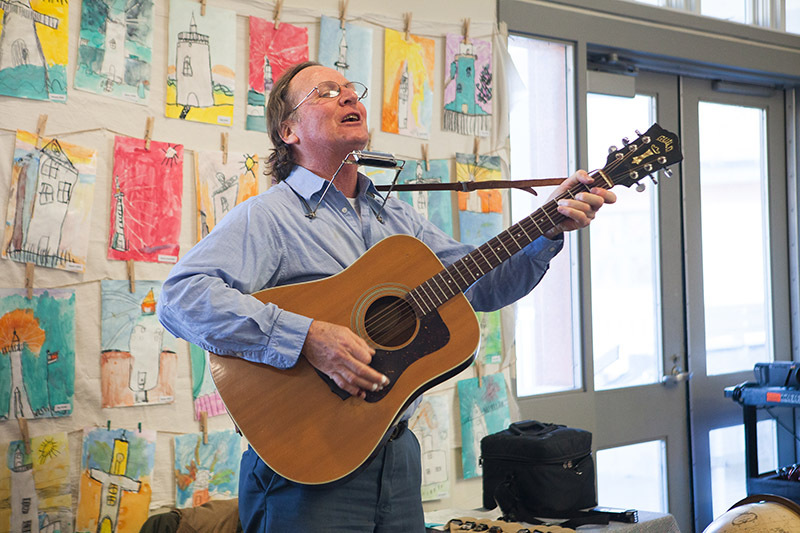 Mr. Lovewell started out the program with the song “Leave Her, Johnny,” which tells the story of a sailor leaving a ship to go ashore. 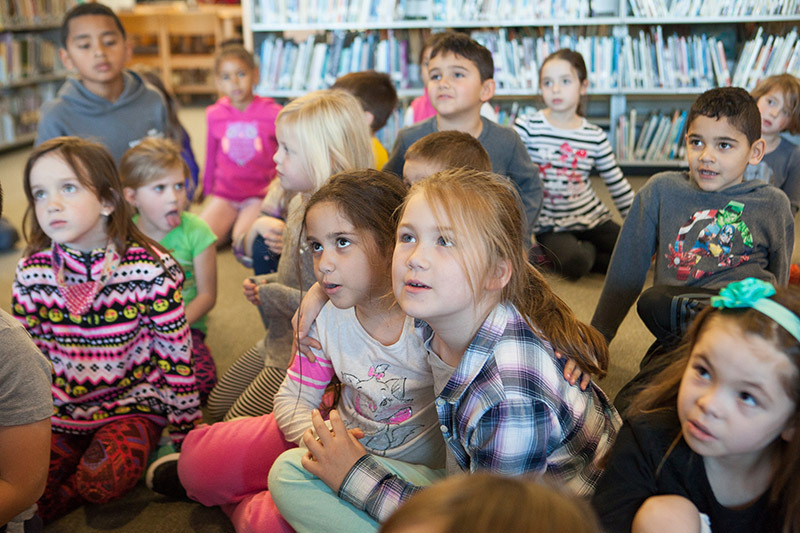 The children sang along with Mr. Lovewell, their tiny voices swelling up for the chorus line of “Leave her, Johnny, leave her.” As he pulled out more instruments and continued singing, gasps and “Wow, that’s so cool” could be heard from the group. 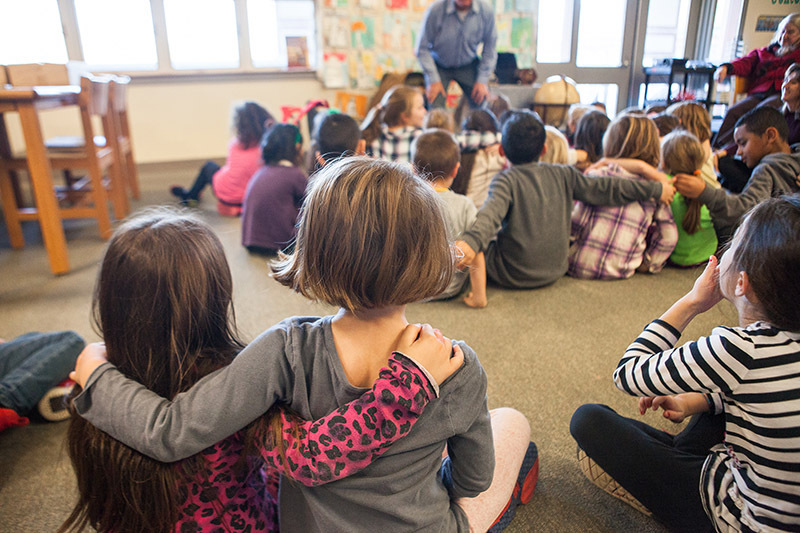 During the last two songs, the kids put their arms around each other’s shoulders and swayed to the music in a well-choreographed motion.